I have three of these for sale. Two are nearly identical and in excellent condition. This one is less valuable for two reasons. This amp also exhibits a low level hum from the center amp. This may not be a problem depending on speaker efficiency and distance to your listening spot. The Yamaha DSP-E200 Natural Sound Digital Sound Processor is a add on to a two channel stereo that provides power and digital sound processing for a center speaker and two rear surround speaker. Condition is Used but EXCELLENT. No User Manual is included, however it is available at Yamaha.com and I suggest you look at it to review its specs before bidding. Shipped with USPS Parcel Select Ground. Great as a 2 channel piece as well! 12 volt trigger capable for turn on by compatible preamp. Output Power: 3 x 120 W / 8 Ohm, 200 W / 4 Ohm Inputs: 3 RCA. Condition is very good. There are a few small areas where the paint reveals a scrape but you have to be looking for it to see it. Very light and small footprint amp. 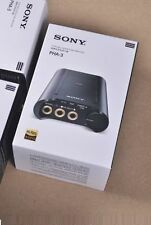 4 x RCA input, rec. Signal/noise ratio: 85dB power amp. By adding this Three-channel unit to any 2 to 5 channel amp or receiver with pre-main coupling you've got a state-of-the-art system complete with Dolby Pro Logic, 8 sound modes including Cinema DSP and ready for Dolby Digital or other 5.1 channel systems such as DTS. This processor unit is previously owned and inspected fully. There are surface marks and scuffs on the body from regular use and handling. Tested fully and works well. Line output level: 1V. What's Included?. Condition is Mint! The C45 has only one. HiFi Art-Elfidelity. Hi-Fi Tube Amplifier. Digital Amplifier. Integrated Amplifier. Headphone Amplifier. Audio HiFi & DIY. AV Tube Integrated Amplifier. Nobsound NS-14G Mini HiFi 2.1 ChannelDigital Amplifier. This unit was tested and fully functional. Signal to noise ratio: 95dB. Functional Condition & Warranty Fully tested and found to be in excellent working condition. Reset to factory default settings (where applicable). PART# P30BGM. 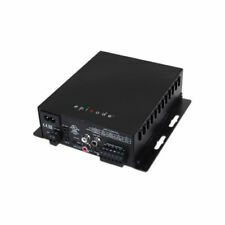 PASO SOUND 30 WATT, 3 CHANNEL PROFESSIONAL AMPLIFIER. Professional Integrated Amplifier. Music Applications and Paging. VoIP Paging interface. Automatic VOX Music. Output Impedance 8 ohm, 25 Volt & 70 Volt. Brand:Crown Number of channels:3 channel Features:Phantom Powered It provides 8-ohm and constant-voltage outputs 70V and 100V. Typical uses are paging, background music, and music-on-hold. The 135MA provides 3 inputs each with a volume control and a 35 Watt amplifier output. Other features include priority muting, voice activated muting, phantom power, and Bass and Treble controls. Plus, the included IR receiver features advanced IR filtering for resistance to interference from plasma/LCD displays, plus AT&T Uverse support – all in a compact, easy-to-hide form factor.This kit includes (1) EA-MINI-3D-35, (1) EA-MINI-R, and (1) EE-IR-RCVR-SM. 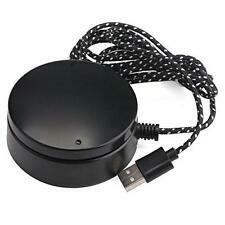 If there is no visible serial # on the item, permanent inconspicuous marks will be placed on the item. Local pickup in DFW area available on. We may take longer than 24 hours to respond. Crown 135MA Three-input, 35W Mixer-Amplifier. Sophisticated soft clip circuitry provides cleaner transient peaks while protecting your driver from over-excursion. The high-pass outputs provide a user the option to feed the signal back into their other audio components or a distributed audio system. 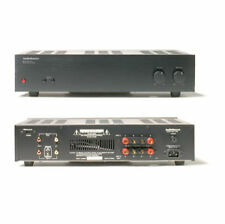 For Sale: Adcom 5503 Power Amplifier. Google the difference between the two for good read. All thick bubble, thick foam, cardboard and solid box. No peanuts. Typical uses are paging, background music, and music-on-hold. Item Code: 135MA. Input Sensitivity: Input 1: Mic 3mV, Line 800 mV, Input 2: 400mV, Input 3: 400mV. Authorized Crown Dealer! Input Impedance: 2.2 kOhms - 10 kOhms. BASIC TESTS WE DO, ARE NOT GUARRANTEE TO WORK ON YOUR END. YOU NEED TO BE AWARE, YOU ARE BUYING THE ITEM WITH INTENTION IT WILL NOT WORK. If your country is not supported by this service, sorry we can’t help it. Theta Digital Casablanca - Superior 1 - 3 Channel Dac Card - Great Price! Theta Digital Superior Dacs for Sale. I am a Theta Dealer and have been for over 25 years so have no worries. These are the 3 Channel Superior Dac cards thats have an MSRP of 1950.00 so as you can see this is quite a deal. LC-BAG-5103 (13/LB-4x13x10) ER. Salesbaron is in Los Angeles, 90039. HiFi Art-Elfidelity. Integrated Amplifier. Hi-Fi Tube Amplifier. Digital Amplifier. AV Tube Integrated Amplifier. Headphone Amplifier. Audio HiFi & DIY. Bluetooth Audio Devices. This amplifier was plugged in and powered on. To get the rear power light to turn on we had to connect 24VDC to the NET connector. Photos are of the item you will receive, unless stated otherwise. In other words, it replaces flat recording with studio-quality sound. It adds warmth, removes harshness and kicks your speakers into action. You can also listen in three key sonic signatures: Single-Ended Triode, Push-Pull Tube, Classic Tube. Series: 900. SEE PHOTOS. All images taken in house of the unit(s) being sold, except for multiple quantities where item received will be in similar or better condition. All pictures are taken in house. POWER OUTPUT (PER CHANNEL). Channel Separation, 100 Hz to 10 kHz:>65 dB. OTHER SPECIFICATIONS. IMD AT 100 W. Damping Factor, 20 Hz to 1 kHz:300. Slew Rate:30 V/μs. Power Bandwidth, -3 dB at 200 W into 8 ohms:90 kHz. Very Nice ! This has a built in amplifier for the center and rear speakers. So just send a line level from your stereo to the line input and you are set! This could be used as a 2.1Integrated Amplifier. For sale quality Denon Personal Component System/AV Surround Amplifier AVC-99 in very good and clean condition and in full working order. Power lead included. Typical uses are paging, background music, and music-on-hold. Input Sensitivity: (for full output at miximum gain): Input 1: Mic 3mV, Line 800 mV, Input 2: 400mV, Input 3: 400mV. Ideal for paging, background music, and music-on-hold. Choose between unbalanced RCA or balanced XLR inputs. The gold plated RCA jacks are mounted directly on the chassis, not on a separate internal circuit board. These lightning fast, optically coupled circuits are designed to detect electrical shorts from either the speakers, speaker wire, or electrical outlet. MYRYAD MA360 3 Channel Power Amplifier "Made In England"
MYRYAD MA360 3 Channel Power Amplifier. "Made In England". Super Clean sound. If item is used, it has been used previously. The TK 4430 is a very efficient 200 watt into 8 Ohm 3 channel power amplifier. This amplifier has never seen more than a couple of months use. I have too many amplifiers. There are a few small scratches here and there-not very noticeable. Professional 3-channel Class G power amplifier. This item has been tested and works great. Can be used as a stand alone unit, you do not have to have. The TOA BG-235 Amplifier provides 35 watts of power to 4 ohm, 25 & 70V speakers in installed sound applications. What you see in the pictures, is what you will be receiving. Mute receive assignable for channels 2 & 3 on rear-panel dip switches. With effortless, wide-open sonic performance and the ability to drive any pair of headphones without compromise, the RNHP allows you to perform, mix and enjoy your music with a new level of clarity. Check the Application notes for how the RNHP can be utilized for different purposes. Plays Well. Light scratching to the case/ Cover. Fair - The CD?. Heavy scratching to the disc. In regards to the case or cover, then the case/ Cover is just holding itself together. CD/Record does not play. This is a boxed Gemini mixer.